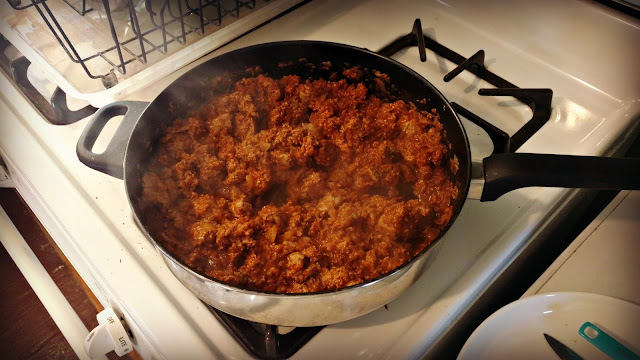 Blissful and Domestic - Creating a Beautiful Life on Less: My go to taco meat..
My go to taco meat.. This taco meat is a saving grace. I whip up a big batch and then freeze it in 2 cup portions. I use this meat mixture in my tacos, burritos, enchiladas, Mexican casserole, and quesdillas. It's so yummy!! Brown ground turkey and onions in a skillet. Do not drain liquid from pan. Next add taco seasoning, cilantro, and lime juice. Stir well. *You may need to add a little bit of water, if your mixture is on the dry side. This is such a simple recipe. I like to do mine in a double batch. 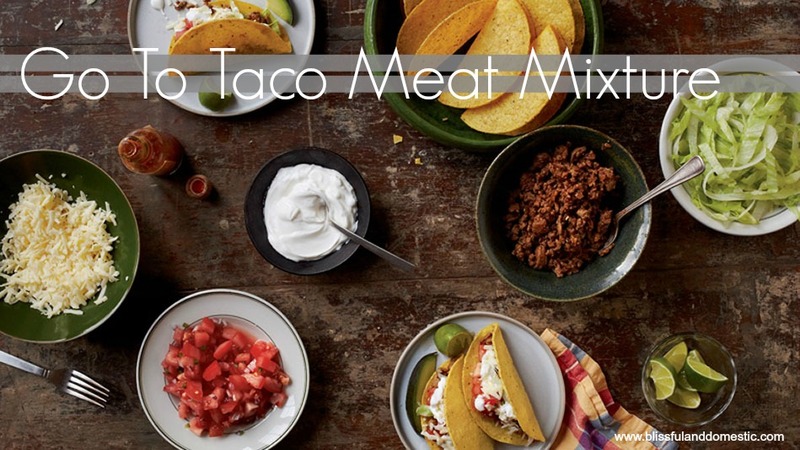 I then freeze this in 2 cups portions to use on taco night. I freeze my baggies in large, labeled freezer bags. I love this food picture - it looks so delicious. This is the way we eat our our house, too - freezing meal size portions of meat ready to go. My husband buys meat on sale and grinds it with our KitchenAid meat attachment. We make our own sausage - and hamburger from steaks. This is a great idea! I work 9 to 5 so by the time my son and I get home the prep time for meals can be exhausting on our nightly routine. This would be a great time saver when meal planning and doing a cooking day to work ahead. Great idea to cook ahead and just pull it out when needed! Yum! We always add black beans to our to make the meat go a little further. I do this too. 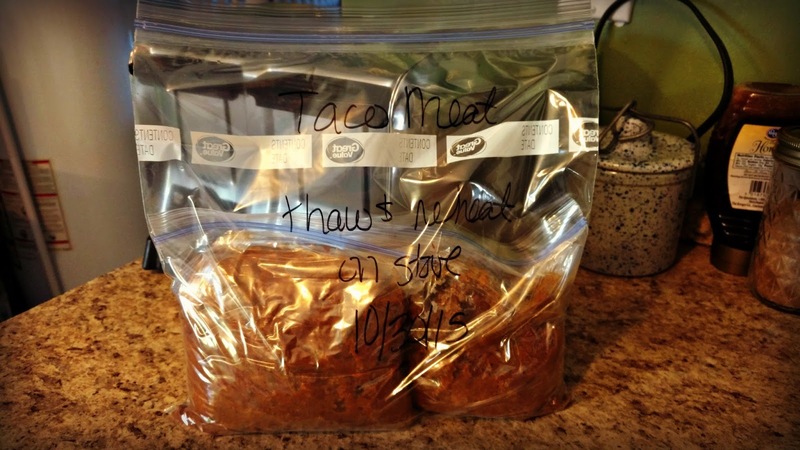 We use taco meat in a lot of things. Love it with turkey meat. My hubs said he wouldn't like it - but he doesn't have a clue! My recipe is almost exactly like yours minus cilantro - we neither like it.